@MrChristopherL | Above the Buzz - How to stand out above the white noise of your industry. 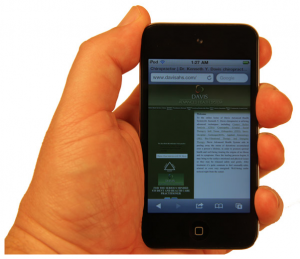 The Tipping Point: When Do I Need A Mobile App For My Event? Here is the article that I wrote for the April 2014 Issue of RSVP MN Magazine. You can read the article here. What are the demographics of your attendees? In 2013, 64 percent of all American Internet users between the ages of 18-60 are accessing the Internet primarily through a mobile device. In any case, you will need to accommodate both mobile and non-mobile users at your event until the day where 100 percent usage is achieved. Can you provide the same benefits of a mobile application with existing tools? Mobile applications tout things like expedited check-in, schedules, event maps and directions, and promotional materials via a mobile device. Many of these services can be delivered via social media platforms such as Eventbrite, Facebook, Twitter, and more. It would make sense to make sure you are maximizing your efforts on these channels that are free, familiar to the attendees, and duplicate the services of a custom mobile app. Can you offset the cost of the application with sponsorships or event partners? A benefit of mobile apps is the space and area in the application for an advertiser, sponsor, or event partner to promote their brand. If you are partnering with an A/V or technical partner for the show, many of these firms are offering their own custom event applications as a service. The opportunity to sponsor the event app could be part of a package offered to larger sponsors of the event which would provide them a greater opportunity to have their brand promoted to the attendees. The bottom line is that this technology is nice to have at this point, and not a need to have yet. That allows some flexibility in wading into custom mobile applications. The technology of most applications is definitely an amenity appreciated by attendees, but in today’s economy it is always nice to have a path to adaption that won’t drive up the costs of your events. here is the article I wrote for the march Issue of RSVP MN Magazine. It originally appeared here. It has been the hottest marketing jargon tossed about since Oreo jumped on an opportunity at the 2013 Superbowl when there was a power outage to let their audience know it was still “OK to dunk in the dark.” The tweet went viral and was the most retweeted post (15,000 retweets) by a brand during the Superbowl. Everyone was super excited, especially marketers. So much so that brands spent hundreds of thousands, and even millions, to be the brand with the Oreo moment at the 2014 Superbowl. Company’s like Papa John’s, Doritos, Verizon, Jaguar, JC Penny, Butterfinger and Reese’s all tried to get into the real time game. They tried to post about plays as they happened or predict outcomes, really without much success. The winner apparently was the Esurance commercial after the Superbowl which announced a million dollar giveaway in exchange for retweeting a hashtag. While the benefits of buzz and awareness do have some value—more social media followers were gained—the bottom line, from Oreo to Esurance, is what has been the conversion of new business dollars from this? Something no one seems to want to measure. There is of course a better tactic. I propose you do the one action on social media that actually could drive your business forward: perfect the art of real time listening. As of 2013, according to PEW Internet, less than 50 percent of brands and businesses monitor the online activity that mentions them. How can you ever respond to and service your audience if you are not listening to them on the channels they prefer to communicate? 1. Monitor the channels where you have a presence. You need to listen, engage and respond to followers on all of the social media accounts you have set up for your company. All of these channels have the ability to push notices to the person managing your account. There are even management tools that will pull all your accounts into one tool, such as HootSuite. 2. Monitor review sites and the general internet for mentions of your brand or business. Whether you use free tools or hire an outside firm there are different levels of monitoring that can be done. For some brands 24/7 monitoring is needed. For others it can be a daily or weekly situation. The tools can provide you with information as frequently as you would like it to give you reports. 3. Integrate customer service into your social media team. The final piece is the human element that can respond to the information gathered during the listening. Put into place guidelines for response to customer issues. Empower your team to take action to a certain point to satisfy your customers as quickly as possible, but also have a plan in place where problems that need escalation will receive attention in a timely manner. Larger corporations are forming communication command centers that can achieve this, or are outsourcing to firms that provide these services. Real time marketing will have to be able to be measured as converted sales dollars if it will ever be successful. While we wait for that to happen, if you aren’t even participating in the conversations by listening to your channels, you will miss any opportunity that arises in those conversations. Are you listening? Here is the article I wrote for the January Issue of RSVP MN Magazine. You can find it here. The rise of the “Phonetographer” generation is upon us. Even though Facebook was the No. 1 social media app overall in 2013, its photo sharing subsidiary Instagram was the fastest growing app among the top 10. Instagram is an online photo and video sharing and social networking service that enables its users to take pictures and videos, apply digital filters to them, and share them on a variety of social networking services such as Facebook, Twitter, Tumblr and Flickr. It first launched in 2010. 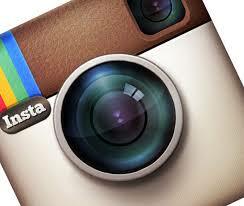 In 2012 Instagram was acquired by Facebook for $1 billion and made a subsidiary. Instagram saw a growth in audience by 66 percent to 32 million users in 2013 (according to Nielsen Data) and shows no trace of slowing down. While Instagram is made up of the same demographics as Facebook, it is also still growing in popularity among teens, which are shifting to single purpose or messaging apps, including Instagram, Snapchat, Whatsapp, Whisper and others. Instagram has many uses in event marketing from several perspectives. On the marketing side, Instagram is being used for everything from shots of the venues to displays, speakers, products, crowds and interaction. On the consumer side, guests, visitors and attendees are participating in contests, recording presentations, products and displays for co-workers that are off-site, and for reviews. If you are traveling to a national trade show or hosting your own event, document your location with Instagram to promote traffic to your booth or event. Shoot photos of the outside of the venue to help with directions. Share photos of your booth or event to allow people to see what they will see at the event. Post photos of your booth reps or event managers so that people can more easily recognize your team. Highlight any new products, etc. that you will offer at the event. Especially feature a product if it is an exclusive being offered during the run of the event. Photos of this sort are great to share across Twitter, Facebook and your other marketing channels such as newsletters. This can expand your reach even to people that aren’t in attendance at the event. Have attendees take photos on Instagram and post them with a message that includes a keyword you are tracking (a hashtag for example) and offer a prize to participants. This extends your reach even further as they share the photos on their channels and to their networks. The ideas are only limited by your imagination. 2014 is upon us and the trade shows and events are in motion. Smile and get ready for your close-up! Here is the article I wrote that appeared in the December Issue of RSVP MN Magazine, you can find it here. Digital Displays & Signage Graphics hung on collapsible backdrops are very outdated. New materials allow for high-resolution video displays on a variety of backdrops, from traditional flat screens to curved and flexible screens that can be wrapped around booths and positioned to create dynamic spaces. These screens have the ability to be completely integrated with computers to orchestrate programming and presentations. Interactivity This is an exploding area of new technology. It incorporates everything from embedded cameras running facial recognition software, to smart sensors that can pinpoint when visitors are close to displays, or recognize motions and cause displays to respond accordingly. For example, when your potential decision maker from ACME company steps near your booth, they can be identified and the displays will immediately change to target and represent ACME’s branding and logos, personalizing the display for that individual. Facial recognition can be as sophisticated as picking out specific individuals or parameters can be set for age, gender, and many other demographics. Motion detecting devices utilizing the same technology found in video game systems like the XBOX Kinect will enable your visitors to interact with displays and programming. Hyper Local Broadcasting Products like Apple’s newly announced iBeacon and its predecessors can broadcast on Bluetooth to mobile devices that are enabled to receive Bluetooth signals. Kiosks and displays can be equipped with Near Field capabilities where a person can touch a sensor with their mobile device to download a sales presentation or information about your company and products. Wearable Technology Even your people working the booths can be supported by new wearable tech devices from smart watches and Google Glass to allow for hands free computing, to clothing that can recharge mobile devices from someone walking around the booth. 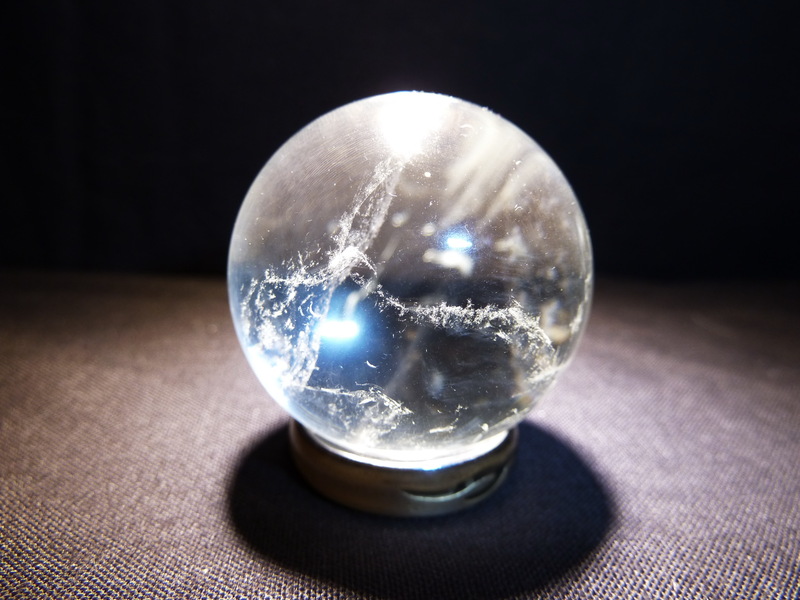 The future of tradeshows is definitely being shaped by new technology, and with the innovations for 2014 alone the future’s looking so bright you might want to wear shades (if Google Glass has some cool ones)! Mother taught you many things that are important to running a successful business, but the most important were those magic words that can get you anywhere: “Please” and “Thank You.” You remember those words, don’t you? With the days of “tightening the belt,” Return on Investment, and keeping your eye on the “prize” being the necessary realities of business, we’ve become so streamlined that many of the human elements of business such as relationship building have been stripped away. The addition of digital communications has added even another layer of disconnect to those human relations. Corporations are seen as out of touch with their clients and customers. What if it didn’t have to be that way? What if you could value tangible results and intangible relationships? You actually can have your cake and eat it too if you go back to Mom’s advice. Successful business owners need to build and nurture positive relationships with the three audiences that make it possible for them to be in business: their employees, current customers and future customers. Building those relationships is as simple as realizing one simple truth: each employee and customer thrives on personal recognition and gratitude. 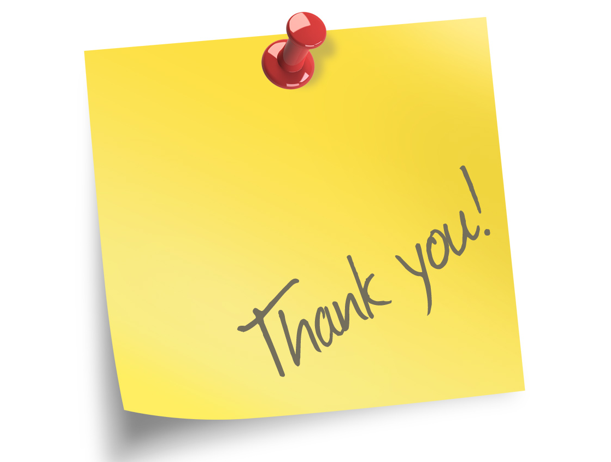 A thank you that is memorable and meaningful goes miles toward establishing loyalty. Showing appreciation is particularly important for service businesses, as your customers don’t receive a tangible product that reminds them of your business the next time they are looking for a similar service. Thus, service businesses must focus on quality of execution and customer service to achieve brand differentiation. Technology has changed much of the way we communicate with clients, but it can also be a great tool in your Thank You Marketing as well. How do you say Thank You currently? Do you give small gifts, gift cards, appreciation events? If so, technology can help you to streamline this. Thank You Cards: Automate the sending of thank you cards, and follow up greeting and post cards with Send Out Cards. You can write and store unlimited cards and even set up multi-step mailing campaigns. While it does cost to join, it’s pretty reasonable. Best of all you can upload your own handwriting and each card is printed and mailed with a real stamp. Flower/Candy Gift Giving: Need flowers delivered? There’s an app for that! Many florists such as FTD have mobile apps and even ordering kiosks in some high traffic offices to allow you to have flowers delivered globally. Websites like Psychic Flowers will even allow you to enter calendar events. The same is true with chocolates and candy gifts; there are many websites that will send candy, chocolates or cookies to your list. Appreciation/Relationship building Events: A corporate “holiday party” was once the norm, but due to budget cuts, and/or fears of impropriety, they have been obliterated from corporate culture. In the day of emails, voicemails, etc., we have sterilized our relationships with our employees, vendors, and customers alike. We need to get back to putting a human face, voice and presence in our relationships – personal interaction. Corporate events have evolved as well. From team building enterprises, to group community service projects, there are many events that can be done with a positive outcome for a company. Technology can enhance these events, such as encouraging photo submissions from apps like Pinterest or Instagram to Scavenger hunts with apps like Foursquare, and invitations from companies like EventBrite. Gift Certificates: Giving a gift certificate as an employee reward for a job well done or as incentive can say thank you in ways beyond a paycheck. Many websites like 7P Gifts will send out gift cards, and have multiple options of stores to choose from and cards for men and women. Virtual Assistants: Finally, even if you don’t have the time to make sure the Thank You Marketing is done, there are many personal virtual assistant services out there who you can hire on retainer or on a project basis to get this done for you. Companies like eVirtual Services or Time Etc are two companies that offer Virtual Assistant Services Nationwide. Thank you marketing is not a new concept – but how it gets done these days with technology is. We used to conduct business personally and usually with a handshake involved, meaning we actually met with our clients to seal the deal. Mother always knew we’d succeed if we mastered certain social and business skills. Mother knows best. This article also appears in the October 2013 Issue of RSVP MN Magazine. Click here to read it there. Leverage or Overcome your Location It all starts in the planning. Food truck owners study maps of the cities before arriving, they determine foot traffic patterns, nearby attractions, and areas where people congregate during their hours of operation. You have that same ability in assessing tradeshow floor plans to determine where best to place your booth. If you are stuck in a poor location, you must use more tactics to draw your audience to you. You need to have a more disruptive or appealing presence to call out to your audience and draw them closer to your space. Focus on Just in time messaging and Perfect the Limited Time Offer (LTO) You are in a tradeshow for a limited time. Messaging is best to capture attention or conversions right there as studies have shown that the further the time passes after the event before a sale or conversion happens, the odds of an actual sale or conversion decreases drastically. 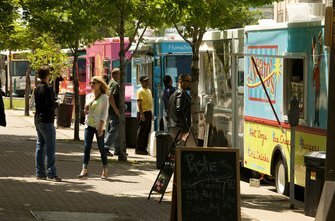 To a food truck, that means missed profit; what does it mean to your bottom line? If you are making a limited time offer for goods or services, make sure it is the best possible deal to induce the customer to become interested and buy right there. Many food truck operators know that missed sales on a day because of pricing may mean they can’t open their doors tomorrow. Imagine if that was your motivation during the show. Maximize your presence locally on Social Media Channels Food trucks comb social media channels well in advance just like they would assess a map. They identify the powerful social influencers in the area they are going to be and try to engage and entice them to pass their messaging on to their followers. They follow local trends and keywords and try to leverage those in their messaging. Align with like-minded businesses that won’t cannibalize your market Food trucks often partner to create their own mini event inside an event. Often creating a team effort to pull off creating a mobile food court. With the premise that a larger crowd of purchasers will be attracted, and that there will be a diversity of flavors and tastes, two or three will partner with the goal of raising the sales for all by attracting a larger group. The same tactic can work successfully in trade shows as well. Partner with synergistic vendors to draw a larger crowd and group of prospects to your area of the tradeshow. Banding together with others to cross promote, or sponsor a speaker or side event at the trade show will help you to stand out from your other competitors and can also allow you to have a larger presence than you may be able to have on your own. Assess, Learn and Build relationships that will grow your Success Next Time Data is king. Building records and databases of places, vendors, venues and people in each city, will help you build quickly and exponentially each year. This is imperative in tradeshows that are stationary and annual. Learn what tactics worked, and where energy was wasted. You can change or replace these tactics for the next time. Food trucks build fan bases by returning often to locations that are lucrative for them to visit. How can your brand establish a fan base as well? Continue to show up with some sort of frequency. If one tradeshow is good for your company in an area, are there other shows there as well where you could have some form of presence? If so, then building your frequency of appearances in that market will increase your foothold there as well. The keys to success in these situations is remaining nimble, innovative, and have the ability to strike quickly when the opportunity presents itself. You can use the same tactics of food trucks to maximize your presence and success at tradeshows. You have a limited amount of time to drive as much business as possible, and the clock starts now. We’ve all had to say, “I am sorry” to someone at some time (at least I hope so). We’re human. We screw things up and we need to make things right. The same thing happens in business. Probably more than we ever want it to. The problem of today, in business, sometimes when we screw up, it’s online. Instead of only a few people seeing it, the potential is that millions of people have now seen it. It’s hard enough sometimes to apologize person to person, and now you have to potentially apologize to hundreds, thousands or millions online. It’s a pretty daunting task. 1. Respond immediately when there is an issue. In today’s age of business there is no excuse for not monitoring your name and brand online. There are plenty of free tools like Google Alerts, and push notifications from Twitter and Facebook to let you know when someone mentions you or your company online. We live in a time of instant communications, and businesses can no longer “wait to formulate a response.” In the time you take to formulate that response, the issues can go viral. Remember the Domino’s Pizza video of employees doing crude things to food? The company found out about it on a Sunday night, but waited until Wednesday to take the first step. By then there were well over a hundred thousand views of the video. 2. 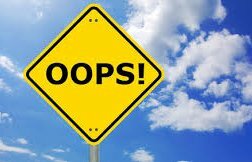 Always apologize on the same social or online channel where the offense or issue is mentioned. If it is on Facebook, Twitter, YouTube, Yelp, etc., you need to respond to the report of the issue where it has been made. Even if you need time to investigate an issue, by responding quickly on the same channel helps convey the perception and thought that you care. Then keep the lines of communication open on those same channels until the issue has been resolved. Bystanders may see your efforts and at least understand you are responding to the situation. Going silent only hurts matters by letting the message and sentiment be formed in your absence. If there is no means to respond, such as the comment being made on a blog, website, or online publication which doesn’t allow for responses, use your own channels (blog, website, Facebook, Twitter, etc.) to respond. 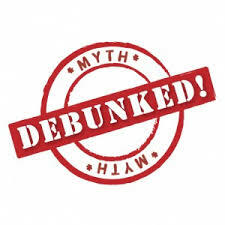 Link to the original online remark (URL) to inform the audience to the details of the incident, when the issue is searched for in the future, your response will be tied to the issue that happened. 3. Explain what went wrong. It might have been as simple as someone sent out the wrong message or hit send without thinking. You need to let people know how you are reacting to the problem and taking steps to correct it. Without conveying any self-examination and action towards resolution, it will appear as if you don’t care and are doing nothing. Remember, online isn’t always as visual so convey these thoughts in words. 4. Explain what you are doing to correct the situation and what steps you are putting in place to ensure it won’t happen again. This goes hand in hand with the previous step. If there is no plan or evidence of changed behavior, it will appear you are insincere and not really doing anything about the problem, and hence you are thought not to care about it. Add links and evidence to show what steps are being taken if that would help. Copies of new company policies or guidelines would be great to post as would photos of corrections, and so on. Evidence goes a long way toward rebuilding trust in your actions. 5. Finally, use the apology as an opportunity to make amends. If you show that you truly realize the scope and magnitude of your actions has hurt your standing in the community, use this opportunity to become a better corporate citizen. Overachieve on your next endeavor, especially if there is a community benefit to doing it. Your brand is only as valuable as the audience that follows, supports and enjoys what you do and your role in their lives. It is all too easy to move on to the next brand. Don’t allow your brand to lose reputation credibility and following all because of a few missteps. The best companies in the digital age will plan for a strategy and policy that heads this off at the beginning rather than a plan that chases the tail end of the problem. By mastering the art of apologizing online, you may be able to save your company, your brand, or hopefully at the very least, your job.